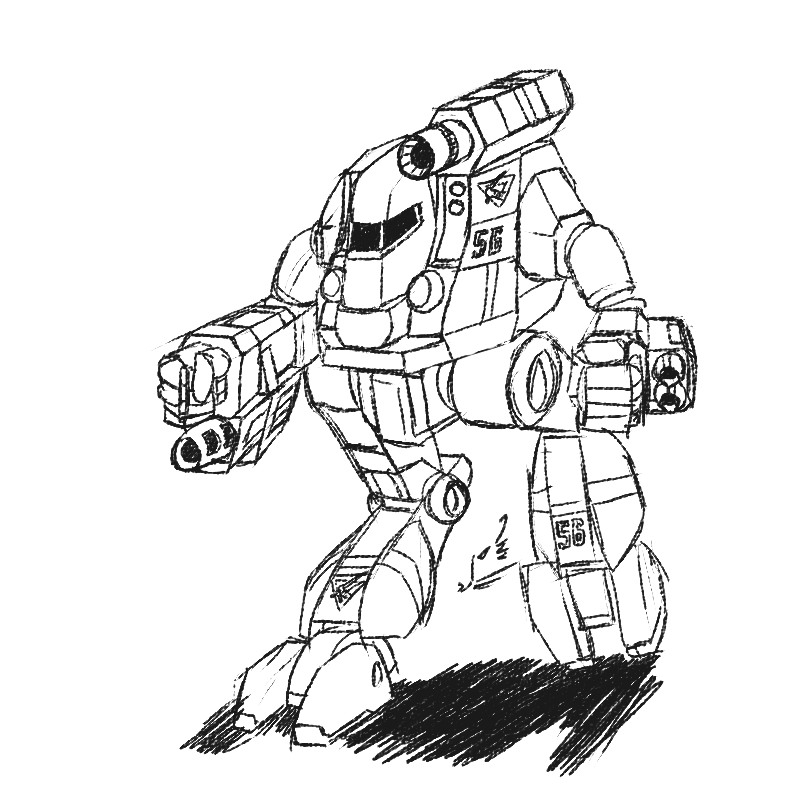 A successor that is loosely based on the older Cataphract model, the Hestia is a 70 ton 'Mech that utilizes some of the latest technology from the late 3060s. In its arsenal are a new Plasma Rifle and LB-X Autocannon/20, as well as a pair of medium pulse lasers. Like the CTF-3D Cataphract, it moves at 64.8 kph and can jump up to 120 meters across, enabling it to use its short range guns to devastating effect. A C3 Slave is the extent of its electronics; when paired with other 'Mechs that also have C3, the the accuracy of the 'Mech's arsenal improves further.